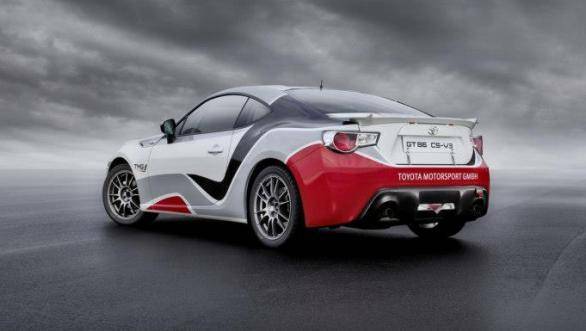 Toyota Motorsport GmbH (TMG) has announced that it is developing a GT86 CS-R3 rally car. TMG is Japenese carmaker Toyota's European motorsport division. 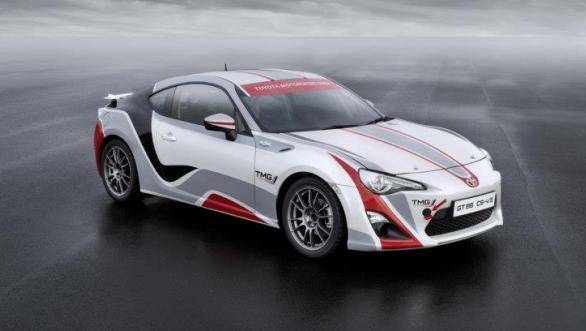 The car will officially be called TMG GT86 CS-R3 and built according to R3 regulations. This means a six-speed sequential gearbox, limited slip differential, modified engine, adapted brakes and other upgrades. It will still be a rear-wheel-drive though. 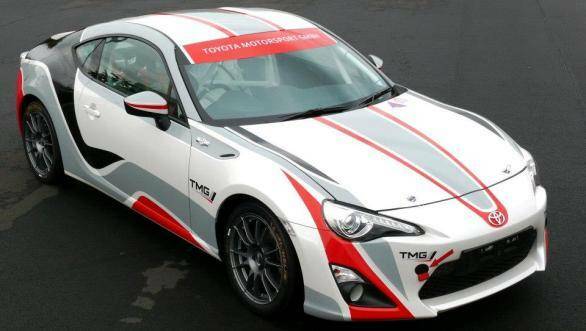 TMG will draw experience from the development of the TMG GT86 CS-V3, another race variant. The TMG GT86 CS-R3 is targeted at private customers and is eligible for all FIA-sanctioned rallies, up to and including the WRC. Complete details and prices are still awaited. It will be powered by a 2.0-litre boxer engine though. TMG first hit the deck in 1979, when they lapped up four drivers' and three manufacturers' titles in the World Rally Championship (WRC). Like the name says, the car is being specced as per the R3 class. The 'R' group provides ground for outright competition for production-derived vehicles, 3 being the class, depending on weight, engine size and powertrain. The GT86 CS-R3 will join the Yaris R1A as the other rally-ready cars in Toyota's portfolio. The front-wheel-drive Yaris R1A competes in the R1 category. Not just this, but the company also claims to be developing a 'Global Race Engine'. It does go on to show Toyota's keenness towards competitive customer motor racing. "Rallying is in our blood at TMG so it is very exciting to announce that we will be expanding our rally operations. The GT86 CS-R3 promises to be a thrilling car on the rally stages; with rear-wheel drive we can expect some dramatic action which is sure to be entertaining for drivers and fans alike. Through our experience with the TMG GT86 Cup and the TMG GT86 CS-V3 race car we have built a solid infrastructure for customer motorsport over the past few years. We will draw on this to deliver a reliable, safe and high-performance car, plus all the required technical support, for our customers. We expect demand to be high so we are looking forward to seeing a lot of GT86 CS-R3 rally cars in action from the beginning of the 2015 season," said Nico Ehlert, principal engineer customer motorsport, TMG. Toyota claims that its customers will have the car ready to compete with in the 2015 edition.